I'm joining in on the Ultimate Blog Party over at 5 Minutes For Mom! There is a LOT of partying going on over there for sure! :) If you want to enter to win some cool prizes or get to know some other bloggers, you should definitely check it out! If this is your first visit here, thanks for stopping by! I'm glad you did. :) I'm Shay and I blog here about my wonderfully chaotic life. I'm twenty-something and happily married to my husband, affectionately referred to as Big Daddy. We live on Addison Ranch in the middle of a cornfield in Indiana. We're the proud parents of two great kids - Ezekiel and Elisha who I stay at home with. I'm an aspiring writer and a Christian and I use this blog to write candidly about our life, struggles and accomplishments. I hope that by telling some of our stories and by sharing some of the things that challenge us I can help others going through similar situations. We are currently homeschooling (and lovin' it!) so I write about that a lot too. You can check out the navigation bar up top to see what else I write about. Love the pictures! You're family is beautiful. Just stopping by from the Ultimate Blog Party! Lovely to meet you, Shay, through UBP. I love your passions for family. Your blog sounds fun. And, your header is so adorable. Hi! Here from the UBP. I'm an aspiring writer too and contemplating homeschooling. P.S. I also started following you. Hi! Stopping by from UBP and now following you. We are a Christian homeschooling family as well. Blessings! new follower here via UBP...love your blog name!! It has been fun connecting with other christian moms this week!! Just stopping over from UBP11...Your blog name defines my life...Lol. Thanks for stopping by my blog too! Stopping by from UBP. I grew up in the middle of a cornfield in Illinois, so I can relate! Sweet blog. Hi there! I'm visiting from UBP and your blog title was what caught my attention! What a great description of homeschooling life! It was nice to "meet" you! Hello! I can't wait to read more about you and your beautiful family. 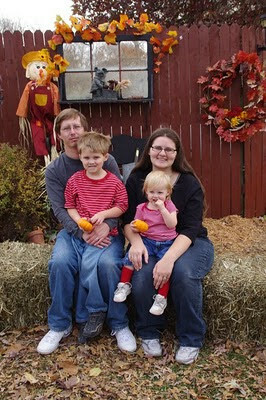 I also write candidly about my struggles since losing my husband to cancer and raising two adorable kids by myself. I hope you drop by and get to know me also. God bless you on your parenting ventures. Hi! I am stopping by from UBP. You have a beautiful family and blog! Hi there. Love your blog. And what precious kids you have...with great names, I might add! Nice to meet you. We've got lots in common. I hope you'll stop by soon. I'm doing a giveaway you'd probably be interested in! !